30 Snackwich ideas – or snackwich filling ideas. 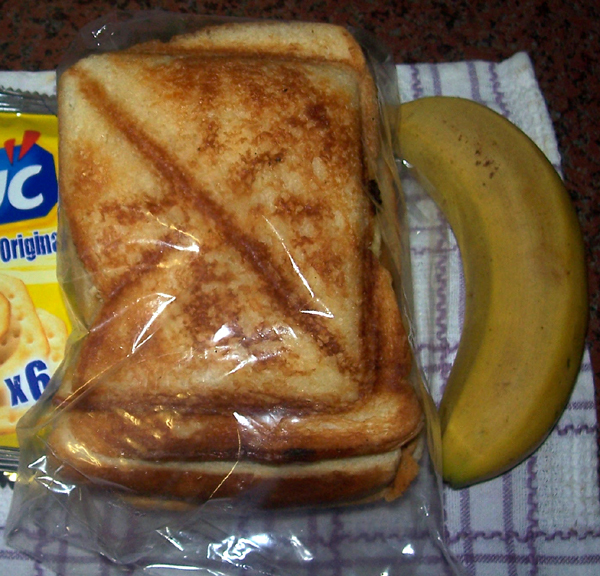 Snackwiches are similar to toasted sandwiches. A snackwich is usually made in a snackwich maker. A snackwich maker is a bit like a toaster lying on its side, or is a bit like a toasted sandwich maker. The shape or mould on the inside of the snackwich maker ensures that the corners and edges of the snackwiches seal together – in other words the snackwich maker forces all the edges of the two slices of bread (the sandwich forming the snackwich) together to toast the bread in such a way that the snackwich filling does not easily fall out while you hold it or while you are eating it. Snackwiches are a quick and easy meal, and can be relatively healthy depending on what type of bread you use, and on what snackwich filling ideas you come up with. Depending on what snackwich filling you use, snackwiches can be kept overnight in the fridge, separated from each other in plastic sandwich bags on a plate or in a bowl, rather than all together in one lidded bowl, and can be eaten cold or at room temperature the next day too – or reheat them slightly. Make a few extra snackwiches at supper time and keep some over for your kids for school lunch the next day. Snackwiches come in handy for parties or when you get an unexpected guest or two. Present them all on one platter or large plate, perhaps on a bed of frilly lettuce, scatter some parsley over them, and perhaps add a few cherry tomatoes and celery sticks here and there. Place a pile of paper plates and serviettes nearby, and some salt and pepper, tomato sauce, chutney, and sweet chilli sauce, and then let the family or guests (or both) dig in! WARNING: SNACKWICH FILLINGS MAY STILL BE VERY HOT FOR QUITE A WHILE AFTER YOU CAN SAFELY TOUCH THE OUTSIDE OF THE SNACKWICH – BE CAREFUL! cheese and tomato sauce – some kids love this! cheese and jam – jam can get really hot – be careful! sliced banana, mayonnaise, and a bit of sprinkled sugar – banana can get pretty hot too – be careful! This list of snackwich filling ideas should go a long way to helping you decide what to put inside your snackwiches – and should go a long way to keeping your tummy and taste buds happy!